AB Testing is only effective when you’re testing something meaningful. This is especially true on small-screen devices we call smartphones, or “Mobile” generically. Talia Wolf believes that the root of every conversion = Human Behavior. We certainly wouldn’t argue with her. She also believes that emotion is at the core of human behavior. Her strategy for designing web pages that leverage emotional triggers was one of our favorite at ConversionLX Live. I took notes on her presentation and share them here as an instagraph infographic. 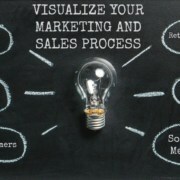 The infographic covers the four steps of her process. According to Wolf, this step helps you understand “where the market is emotionally”. It also shows you where you fit. Choose ten to fifteen competitors (or as many as you can) and rate each one by four criteria. What their base message is. What emotional triggers they appeal to. 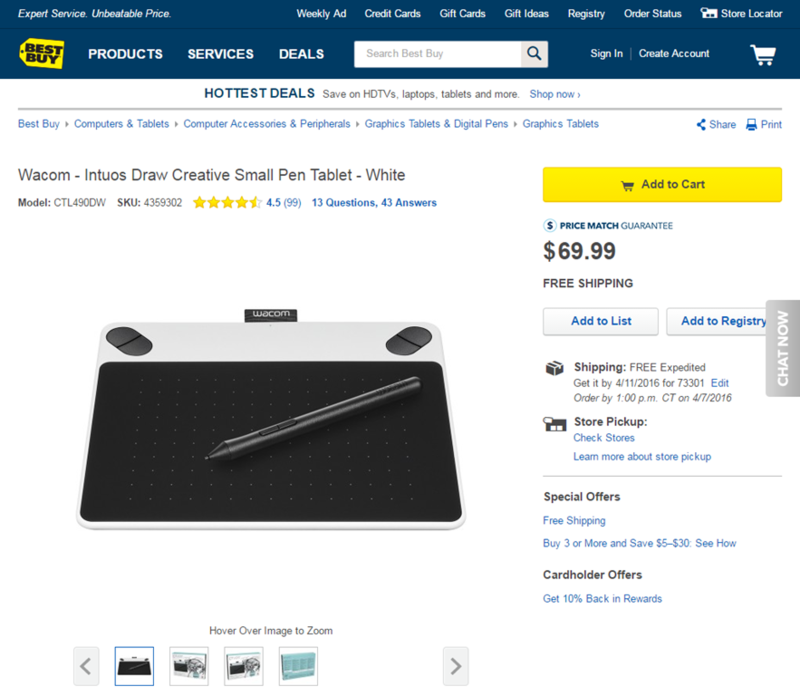 Our Content Scientist Trina Bolfing was recently looking for a new Wacom graphics tablet. She likes to doodle. All of the retailers offered the tablet at the same price, so the only differentiator would be message, color, images, and emotional triggers. Here are some of the sites she visited before buying. Best Buy communicates service and trust on its product pages. Message: Best Buy’s is trust and safety. They offer star ratings, price match guarantees, free shipping and more to show safety. Color: The dark blue color of their site says “Trust” and “Logic” but may also say “Coldness” and “Aloofness”. Images: In an ecommerce environment, high-resolution images are usually helpful to buyers. Interestingly, they offer pictures of all sides of the box. Emotional Triggers: Trust us to sell the right product at the right price. Rakuten communicates emotions of spontineity and action on its product pages. Message: Shopping is Entertaining! We sell lots of things, and just give you the facts. This is an informational presentation with detailed headings, stocking status. Color: Red is excitement, passion. It can also mean aggression and stimulation. Images: Use of icons (promotions, shipping, credit card). Limited product images. Emotional Triggers: Spontaneity. You’ve found the product. Take action. SWOT stands for Strengths, Weaknesses, Opportunities and Threats. It’s a common way to generate market strategies in almost any context. Wolf asks us to consider these from an emotional standpoint. As the infographic shows, the strengths and weaknesses pertain to our business. Do we have a strong message? Are we using color and images powerfully? What emotional triggers are we tripping. The opportunities and threats relate to the industry we are in. Our emotional competitor analysis helps us define these. When we look at our emotional strengths and weaknesses, we can ask the question, “How do we want to make our customers feel?” This helps us define our emotional content strategy and related hypotheses. In our examples above, Best Buy wrote their own product summary description. 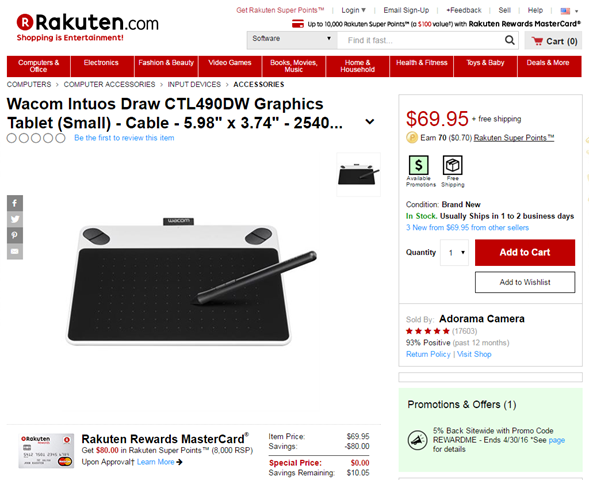 Rakuten uses the manufacturer-supplied copy and images. Best Buy communicates “Trust” by focusing on service. Rakuten focuses on “Act Now” with availability and price information. If we wanted to find a unique emotional content strategy, we might focus on building relationships. Messaging and images might showing employees who care and customers who are happy. Regardless of how much research we do, we can never be sure we’ve hit the right combination until we do a test. Wolf recommends creating two treatments to test. For some examples, I recommend checking out Talia Wolf’s deck on slideshare. She focuses on dating applications to help explain how emotional triggers can be laid out onto the screen. If emotion is at the heart of purchases, then understanding how to integrate emotional triggers into our persuasive designs is critical to success. 3 Very Different Meanings of the Word "Redesign"
Best Buy and Rakuten were my examples. But to Talia’s point, you can’t put color on your page and not play an emotional game.